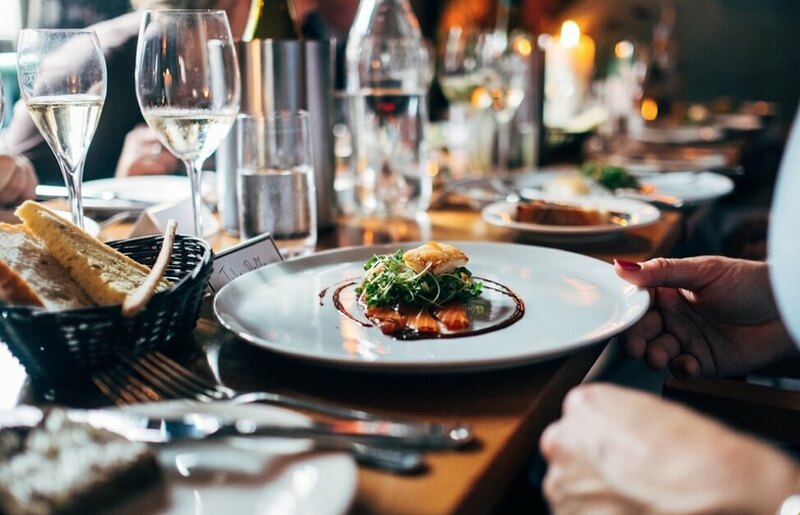 If you’re in the restaurant industry, you’ll need a beautiful website to promote your business, just like everyone else. Almost every company needs to have a digital presence if it’s going to make inroads with new consumers. Much of consumer behaviour is driven by what’s happening online, including social media, blog posting, content marketing, and SEO or search engine optimisation. If you’re looking to help your restaurant make a splash in the community, reach out to new consumers by learning how to build the ultimate website for your restaurant. Many small business owners create a website with the goal of launching an SEO campaign. SEO refers to search engine optimisation, which means optimising content and web pages for search engines like Google by inserting specific keywords and phrases into the text on the page and the page’s metadata. You can use the Google AdWords Keyword Planner to see what some of the most popular keywords are in your area or city. You should also try searching for keywords that better describe your restaurant, including phrases like “upscale”, “cheap”, “organic”, “vegan” or of course the cuisine type like "Chinese", "Italian", "International" etc. These keywords will help you reach a niche audience in your neighbourhood, including wealthier consumers, those on a limited budget, those with strict dietary restrictions, and people that like certain types of food. Now that you have some keywords in mind, it’s time to start filling up the pages on your website with useful information about your restaurant. When people land on your site, they’ll want to quickly learn as much as they can about your restaurant, including the kind of food you serve, whether you take reservations, where you’re located, your opening times and whether you offer take-out or host events. Your homepage will often be a person’s first impression of your restaurant, so you’ll want to make it a good one (as you only get one chance to make a first impression). You’ll want to start by quickly summing up what your restaurant is all about. This might include information about where you’re located, what kind of food your restaurant is known for, and what kind of atmosphere people can expect in your restaurant. Make sure to use those keywords that you’ve been researching in the web page copy. If there’s one thing that people love about restaurants, it’s the food (duh!). You can capture the viewer’s interest by adding high-definition images of your restaurant, including the dining area, favourite dishes in all their delicious glory, the kitchen, the staff etc. Did you know, when people only hear information, they are likely to remember just 10% of that information three days later? However, if a relevant image is paired with that same information, people retained 65% of the information three days later. In short, adding images to your text is one of the most effective ways to give people more information about your restaurant and promote the better memory of it. You might want to consider including a 360 virtual tour of your website. After all, you've probably spent a lot of time and money getting your interior right. Why not capitalise on that and give people a taste of what they can expect by inviting them into your space from the comfort of their own home? You don't have to put a lot of extra work into your menu page. Many restaurants will simply upload a copy of their menu to their website. You can create an image of your current menu, or upload a PDF version. However, the best way to add your menu is to create web pages with the information spelt out so that even search engines and read and index it. This way your menu gets much better visibility online. Redro is excellent for this. 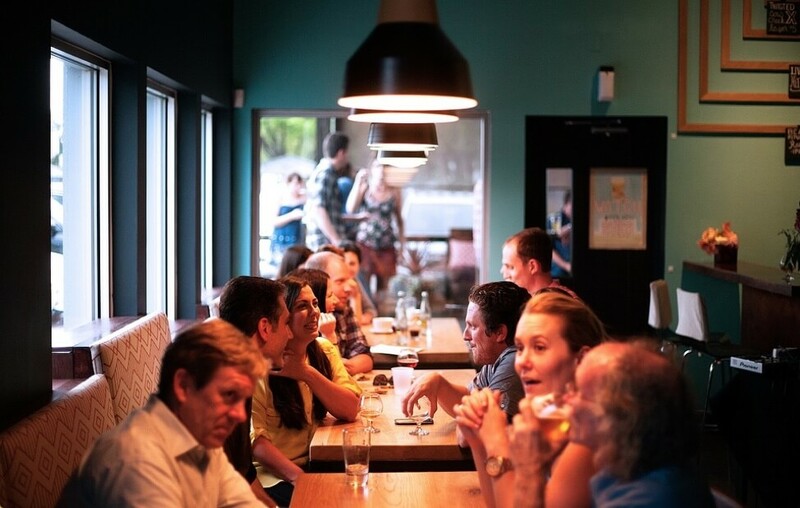 Since you’re focused on bringing people into your restaurant, you’ll need to include information about where you’re located, including the address and directions on how to get there. In fact, the best way to do that is to link to a Google Maps webpage that automatically brings up your restaurant on the map. People should also be able to contact your restaurant once they land on your website. 51% of people think "thorough contact information" is the most important element missing from many company websites. You can add a contact form with input fields asking for the person’s contact information, or you can simply list your phone number or an email address. Oh, and don't forget to mention your opening times! You may also want to add a reservations portal to your website that allows people to sign up for reservations online by entering their contact information, party size, and a time and date. You can partner with apps like OpenTable to include these features on your website. People won’t have to call your restaurant every time they need to make a reservation, helping everyone manage their schedule with ease. It's crucial that your restaurant’s website is mobile-friendly. Many people will be out and about when they’re looking for places to eat, so it makes sense that they will be using a smartphone or tablet instead of a desktop computer. It’s not just restaurants that have to worry about going mobile. Mobile devices now account for nearly 2 of every 3 minutes spent online. Clearly, this trend shows no signs of slowing down. Having a slow website will make a bad impression on your consumers and will harm your Google ranking. People expect a website to load in just a few seconds, especially when they’re walking around a city looking for a place to eat. Hunger can make anyone impatient and irritable, so having a fast website should be your utmost concern. Creating a beautiful website for a restaurant can be a complicated endeavour for some owners. If you’re like most restaurant managers, you probably have your hands full with scheduling your employees and keeping up with the demands of your customers. 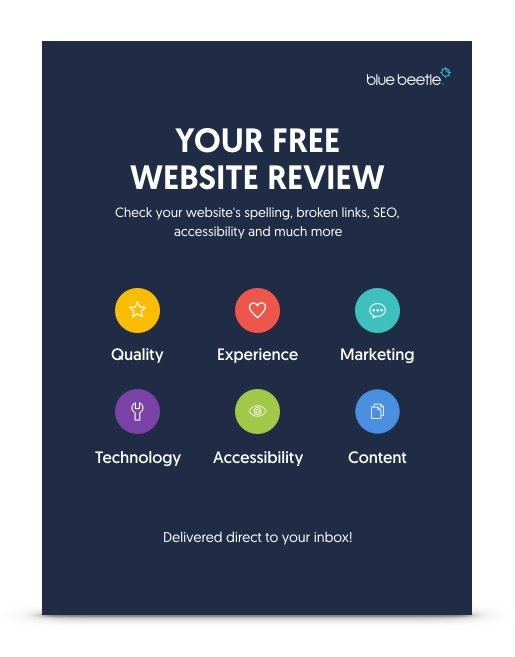 If you need help designing a website for your restaurant, contact the web design professionals at Blue Beetle in Dubai. We have the tools to make sure your website stands out amid the competition.